I first met him as I started to become involved w/ the SJAA board. I quickly learned that there was wisdom in every thought and opinion he shared. When he spoke, everyone listened. His long standing support for the SJAA, his wisdom, and everything embodied by his presence will be missed. Allergic to math (or at least calculus)? I’ve also sign up for “From the Big Bang to Dark Energy”. There is a “basic” track that requires just high school algebra/geometry and an “advanced” track for those who are gluttons for punishment It runs for four weeks from 8/5 to 9/1 I’d encourage EVERYONE to sign up and get the certificate. You can always ping me for help. If you decide to jump in, do let me know! S&T and other sources have noted that the asteroids Ceres and Vesta are now visible. They’ll both continue to be in the same binocular view for a while. 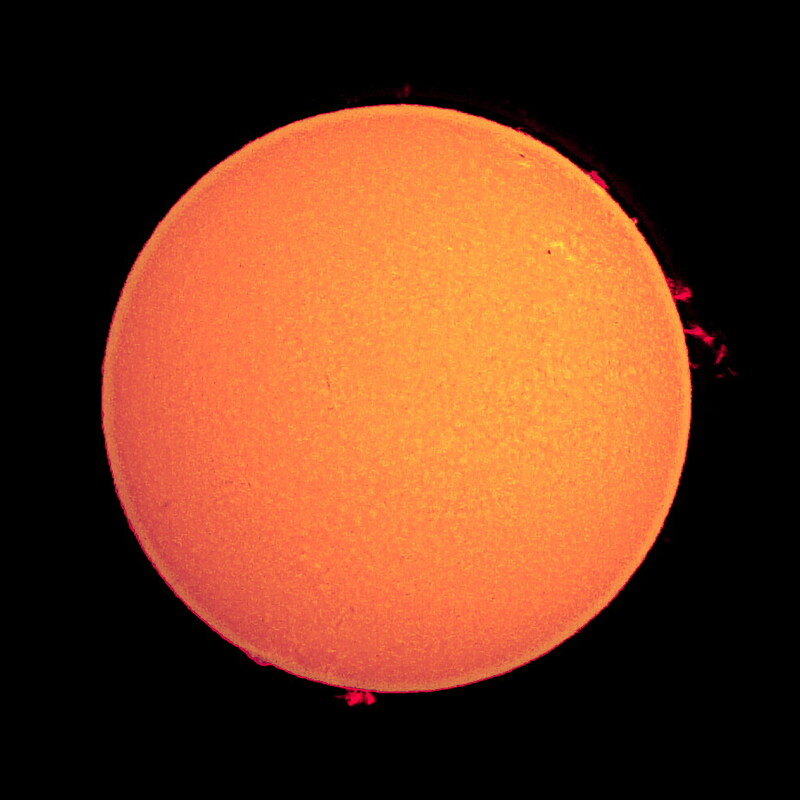 I’ve seen them the past couple weeks and, courtesy of Tom Pillar, saw them at Rancho through his telescope in a 2° field of view. It turns out they’ll be closest together around July 4th. Because they’re small, you have to know exactly where they are. Otherwise there’s no way to distinguish them from stars. If you haven’t seen them yet, you should! Being able to see both Ceres and Vesta in the same view is a rare occurrence. Although they’re both in the asteroid belt, their orbits are somewhat different. It turns out they get close to each other only once every 16 years. The next time they’ll be within 5° of each other will be Feb. 2030 and, drum roll please, the next time they’ll be within 2° is 2081! So how do I know that? Did my Magic 8-ball tell me? Ha! Anyone who has known me a while knows that I make heavy use of Sky Safari. If you care to try the same exercise as I did, just follow along. This works well if you have the plus or pro version. If you have the basic version, you don’t have the capability to show field of view circles, so there’s no direct way to tell angular distance as asteroids fly by. You can also do this with other software, but it’s MUCH easier if you have field of view circles. Let’s set up field of view circles and turn off certain objects. In Sky Safari zoom in or out so your display is about 30° wide. You can search for Ceres or you can move your view so Mars is visible. As of this writing, they’ll be slightly above and to the left of Mars. Select Ceres and hit “Center”. Set one field of view circle to 10° and another to 4° and turn them both on. For Sky Safari version 3 go to “Display” and change the fields next to “Finder”, “Wide”, “Narrow”. For version 4 go to “Display”, turn on two “Custom Filed of View”, tap, and enter a new field of view. Hit “Done” to return to the view screen. You should now see Ceres in the middle of the two field of view circles. Since we’ll have Ceres centered in the circles, anything inside the 10° circle will be at most 5° away, and anything in the 4° circle will be at most 2° away. Select the “Time” menu set your time to 10pm. Select “Day”. Now hit the fast forward button. You’ll see Vesta move away and other changes as Sky Safari shows you how the sky changes as the days fly by. You’ll notice the other (relatively) bright asteroids come and go. Eventually you’ll see Vesta swing into view around Feb. 2030. Hit the fast forward button again to stop and again to restart. Fast forwarding can take a long time, so you may want to bump up the numerical increment on the left to 10 or higher. If you’re running on a Mac (or other program on a laptop or desktop), the fast forward is faster (and looks smoother), so your increment won’t have to be as high. When something interesting comes into view, you can stop and bump the increment back down to one. To find the exact angle between two objects, select the first object (if not already selected), select the second object, and hit “Info”. You’ll find the angle under “Angular Separation”. Be sure to reselect Ceres and center before restarting fast forward, otherwise Ceres will disappear from view. Once you have this under your belt, you should be able to predict any imaginable event the solar system offers! 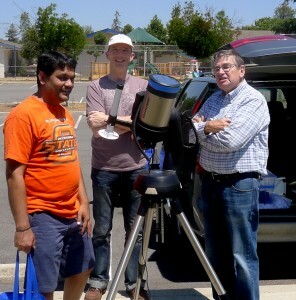 The SJAA and amateur astronomy have lost a dear friend with the passing of Dr. Robert Armstrong. It was an unexpected and sad loss for all who knew him, and the many who benefited from his quiet generosity. Robert was known to many simply as Dr. A. 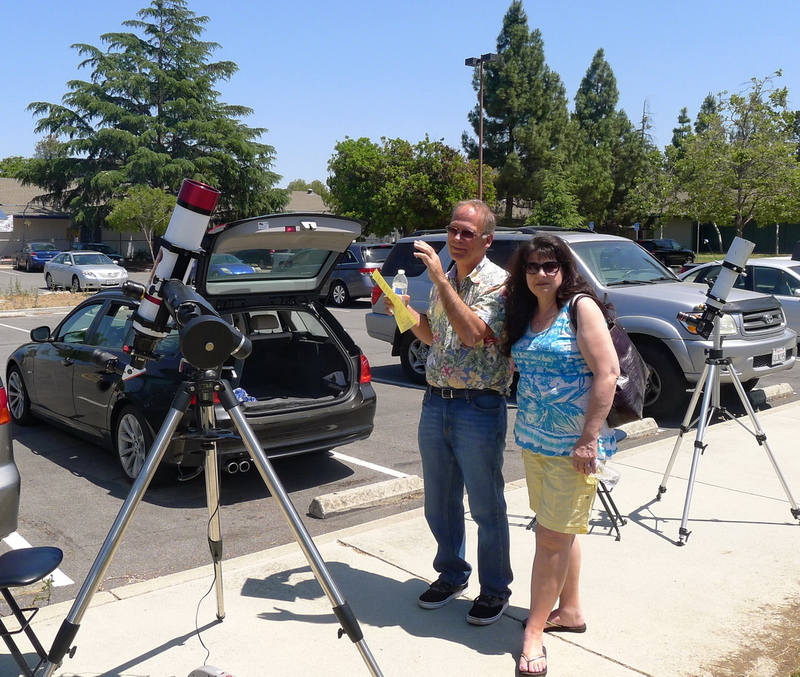 He had a keen love for astronomy, regularly taking his 20″ telescope to Fremont Peak, was a fixture each year at the CalStar dark sky star party, and traveled the world to experience numerous total solar eclipses. He served on the SJAA Board of Directors for many years, handling the officer duties of Treasurer. Always gentle, kind and positive, he embodied the club as an open and welcoming organization, supporting and promoting new ideas for making amateur astronomy more accessible to the public, and members of the SJAA. Professionally, Dr. Armstrong was an infectious diseases specialist, practicing in Los Gatos. Several members of the SJAA, and their families, owe their lives and those of their family members to Dr. A’s expertise and advice. All who knew him saw his deep caring for people, in how he connected on a very personal and human level. Dr. A. had a fine, quiet, and playful sense of humor, and a great understanding of human nature. Never heard raising his voice in anger, he was one of those people, who are really few, who could always be counted on. Robert set a great example for all. With the SJAA, his dreams were for the club to have a first rate solar telescope, and to acquire land at a dark site so amateur astronomers could have a place of their own to enjoy their hobby. 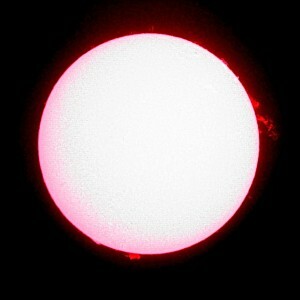 He recently helped guide the club in acquiring a wonderful solar telescope which now is used monthly for public viewing. It is an appropriate legacy he leaves the SJAA, as none shined so brightly as Dr. A, at the SJAA. Dr. Armstrong will long be missed by the SJAA, his friends, and those whose lives he touched. LOTS of new books in our library, exclusively for the kids!!! Thanks to a generous donation from one of our board members, Ed Wong…SJAA Library now has 14 awesome books for the little ones! BIG thanks, Ed!!! All of these books are very kid-friendly, with lots of fun pictures and easy explanations. Stop by the book cabinet to check these out, next time you are Houge Park for one of our events! I hope our budding astronomers group will enjoy reading these books!!! If you have any questions or comments, I can be reached at librarian.sjaa@gmail.com. 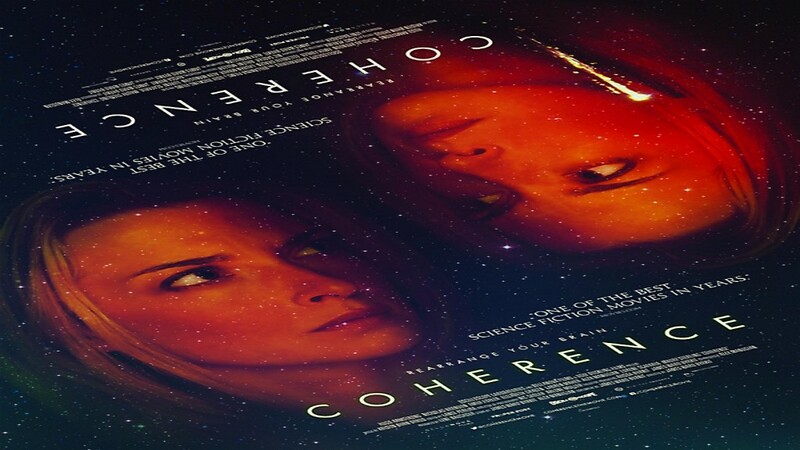 For those not going to GSSP, COHERENCE might satiate at least a need for intriguing Sci-Fi.
! Plus mark the date for SJAA SCI-FI Night: Saturday August 9th ! Last night me and (Dave I, Tom P, Gary C, Guna P, Lee H, Teruo U, Manoj K, Bharath K,) from the SJAA met down at the Pinnacles for a summer exploritory to see how viable viewing from the Pinnacles camp grounds would be. As we arrived, the campsites we had were on opposite sides of an access road. The campsites were large enough to fit all of us in one of the sites. So we decided to setup tents and gear in one of the campsites and park half of the other cars in the opposite site since there was a parking limit per site. As we were setting up it was obvious to the campers on both sides of us that we were not going to the regular campers. Needless to say the big Dobs and Big Binoculars got the attention of those around us which gave us a good opportunity to talk about the club and invite people to our website and HP. Of course the other campers wanted to have some views through our scopes too. By 11pm some of the crowd started to dwindle down and I was able to get my first SQM reading of 20.56 (RCDO is about 20.50) There was still a lot of lights on from the nearby campers and the restrooms. By around 1am the campers had gone to bed and the lights were out. Second SQM reading of 21.77!!! the Milky Way was blazing across the sky. If you have never viewed the Milky Way under dark skies it truly is a sight that is to behold. With my binos panning for the M8 – Lagoon Nebula through M24 -Sagittarius Star cloud to M11 – Wild Duck cluster it’s amazing how many stars are visible with the dark dust lanes in between them. Other nice things viewed during the evening were: the Markarian Chain, M83, M104, The Leo Triplet, M31, M51, M64, M13, M92, M95, M96, M81, M82, M97, M105, M106, M108, M109. Bonus objects were the NG7000 – North American Nebula and Eastern & Western Veil Nebulas looked fantastic in the binos. By 2:30am it was getting cold and most of us were starting to pack up for the night. Overall it was a good night. We learned things about the site that will help us for future trips, for some of the guys that went it was the first time they viewed under dark skies, we were able to give some publicity for the club. The H-Flare on the right was a good 200,000 thousand miles high. Sunspot count was in the 50’s. Terry had her portable H-Alpha and Bill had his C5 along with the club’s scope. Michael brought his 80mm with Herschel Wedge and Narrow Band Green. Below are two people shots of the day. About a 12 folks stopped by to take a gander.